Much has been said in the media about the changes in store for seniors under the Affordable Health Care Act, known as Obamacare. The legislation appropriates a significant portion of Medicare money to fund Obamacare, limits contributions to flexible spending accounts (FSAs), and increases taxes on unearned income. Some of the new taxes only affect top earners, but the law is also worrying for those with retiree healthcare plans. The End Of Retiree Coverage? General Electric, IBM and Time Warner are just some of the major corporations that have announced the end to generous retiree insurance coverage. All three companies indicated that instead of purchasing healthcare policies for retirees, they will begin giving them a yearly stipend to spend on coverage through the Healthcare Insurance Marketplace or private policies. 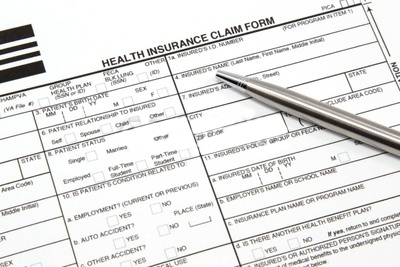 Many employers are choosing to the fines levied by Obamacare rather than offer insurance for employees or retirees. Doing so is less expensive than buying insurance for a company’s bottom line and reduces overall expenditures. If stipends are less than actual costs, retirees will be responsible for making up the difference. A freeze on government wages during World War II spurred employers to offer healthcare as a means of retaining workers and it became common practice. With the launch of Obamacare, many companies are choosing to eliminate the employer-based plans of current workers and those who have retired. According to a study released by the Kaiser Family Foundation, the number of companies offering healthcare benefits began to drop before Obamacare was passed. The study indicated employer-offered coverage fell from 66 percent over the past 10 years to a current level of 57 percent. Business owners have cited an overuse of benefits as a key element that’s driving the transition. Company officials say with the generous benefits they offer, workers and retirees are seeking clinician care and an array of expensive tests that are unnecessary, resulting in higher costs. Many businesses offered healthcare coverage as a bonus to retirees for being faithful employees. Today’s employers say skyrocketing costs has made healthcare a costly burden that places them at a major disadvantage in a global economy. Obamacare is changing the way employee and retiree healthcare has been delivered over the past 75 years, leading many seniors to wonder how their healthcare needs will be financed and managed after their retirement.